Beneath your skin, and deeper within your body, run networks of veins. These thin, tube-like structures are an essential part of the circulatory system, which distributes blood and nutrients throughout the body. What Thomas E. Eidson, a phlebologist (vein disease specialist) at Atlas Vein Care in Arlington, Texas, finds most compelling about veins is "how absolutely intricate and fragile the circulatory system can seem and yet at the same time be so resilient and adaptive." 1. VEINS ARE ONE OF THREE KINDS OF BLOOD VESSELS. Three types of blood vessels make up the human circulatory system: arteries, veins, and capillaries. All three of these vessels transport blood, oxygen, nutrients, and hormones to organs and cells. While arteries carry oxygenated blood away from the heart to the tissues of the body, veins carry oxygen-depleted blood from the tissues back to the heart, and in fact have special valves that help them to achieve this directional flow. Capillaries are tiny blood vessels that connect arteries to veins and allow nutrients in the blood to diffuse to the body's tissues. 2. A SINGLE VEIN IS COMPRISED OF THREE LAYERS. Veins, small as they are, consist of three layers. According to Eidson, these layers are known as the tunica adventitia, tunica media, and tunica intima. The tunica adventitia is the tough outer layer of arteries and veins and is made mainly of connective tissues. The middle layer, tunica media, is all smooth muscle and elastic fibers. This layer is thinner in veins than in arteries. The innermost layer, tunica intima, comes in direct contact with blood as it flows through the vein. This structure is made up of smooth cells and has a hollow center known as the lumen. 3. OUR BODIES CONTAIN UP TO 100,000 MILES OF BLOOD VESSELS. All the arteries, veins, and capillaries of a human child, stretched end to end, are estimated to wrap around the Earth about 2.5 times (the equivalent of about 60,000 miles). The amount of blood vessels in a human adult would circle our planet four times, equaling 100,000 miles, according to Eidson. 4. CAPILLARIES ARE SMALLER THAN THE WIDTH OF A HUMAN HAIR. Capillaries are tiny—at their smallest, they're less than a third of the thickness of a human hair. But to really put it into perspective, consider that when red blood cells flow through capillaries, "[they] must travel through them one cell at a time in a single-file line," Eidson says. 5. PHYSICIANS HAD THE CIRCULATORY SYSTEM ALL WRONG UNTIL THE 17TH CENTURY. "Physicians followed an incorrect model of the circulatory system proposed by Greek physician and philosopher Galen of Pergamon from about the 2nd century CE until the 1600s," Eidson says. According to a paper in the Journal of Thrombosis and Haemostasis, Galen thought there were two systems: one in which the liver, not the heart, produced blood that was distributed in the body centrifugally, and another where arteries carried air from the lungs and more blood to tissues. "Blood was not seen to circulate but rather to slowly ebb and flow," author W.C. Aird wrote. This attitude prevailed until 1628, when English physician William Harvey first correctly described the circulatory system and the function of the heart. 6. THE BODY CAN FORM NEW VESSELS WHEN ONE IS BLOCKED. Eidson says the body can form new blood vessels if a pathway gets blocked, a process called angiogenesis or neovascularization. On the positive side, this is the process by which flesh wounds heal, drawing nutrients and oxygen from the nearest healthy capillaries to the site of those that are damaged; this isn't too hard given how numerous capillaries are in the body. On the negative side, this same process can lead to corneal neovascularization, in which new blood vessels invade the cornea from the limbus, a part of the eye where the cornea meets the sclera—the white part of the eye. The extra blood vessels can cause inflammation and scarring of the cornea, and even result in blindness. 7. ONE PHYSICIAN PERFORMED A PIONEERING EXPERIMENT ON VEINS IN THE ARM—HIS OWN. German physician Werner Forssmann performed a cardiac catheterization on himself in 1929. In this procedure, a thin tube called a catheter is inserted into one of the large blood vessels in the arm that leads to the heart. The medical community at the time believed studying the heart was highly unorthodox, but Forssmann was determined to prove them wrong. If the procedure succeeded, Forssmann would be able to show that a catheter could assess the pressure in the organ and how well the heart is working. He made an incision on the inside of his left elbow and threaded the thin tube into his heart—and had a technician take an X-ray to prove the penetration was a success. Then he calmly removed the catheter from his arm with no side effects. Now, "it's a procedure performed in the U.S. approximately 1 million times per year," Eidson says. Forssmann also went on to win the Nobel Prize for Medicine in 1956, shutting up his detractors. 8. STRONG VEINS ARE ESSENTIAL TO A STRONG BODY. Veins return oxygen-depleted blood back to the heart against the force of gravity. 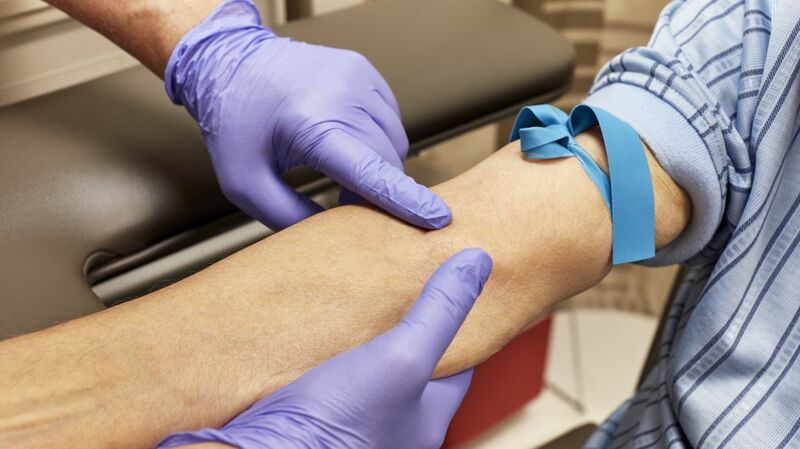 "If veins are too weak—a condition called venous insufficiency—blood can pool in the legs and skin causing swelling, pain, discoloration, and wounds," says Albert Malvehy, a venous and lymphatic specialist and phlebology sonographer in Delray Beach, Florida. Chronic venous insufficiency is more common in people who are obese, pregnant, or who have a family history of the problem. It can also be caused by high blood pressure in the leg veins, as a result of sitting or standing for long stints; not enough exercise, smoking, or deep vein thrombosis (blood clots). 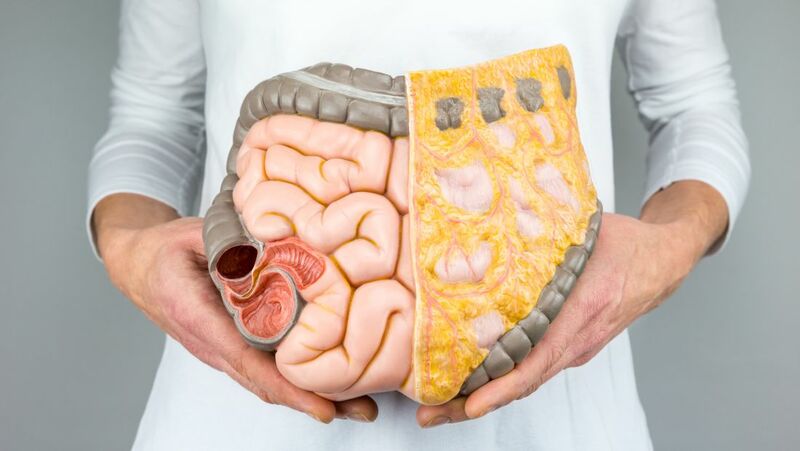 Depending on the severity, treatments may range from medication to surgery. 9. VARICOSE VEINS ARE CAUSED BY DAMAGED VALVES. When venous valves are damaged, blood can flow in the wrong direction and lead to stretched-out, bulging veins, Gregory P. Kezele, the medical director of Vein Clinics of Cleveland, tells Mental Floss. Varicose veins, which can range in color from purplish to neutral, appear twisted and gnarled, and may be raised on the skin's surface. (Don't confuse them with spider veins, which are clusters of bluish or reddish veins near the surface of the skin that resemble webs, hence the name.) Conditions like pregnancy, obesity, and genetic predisposition can cause them. Once varicose veins appear—usually on the legs—they require a medical procedure to get rid of them. Veins are a critical part of normal circulation in the body, so varicose veins can be more than just a cosmetic issue. "They can be a sign of a deeper circulation problem," Malvehy says. "People with varicose veins, leg pain, restless legs syndrome, leg wounds, and leg swelling should be checked by a vein specialist." One in five people have vein disease. As recently as 10 years ago, there were few treatments to offer varicose vein sufferers except for vein stripping surgery, in which problematic veins are removed. Malvehy says that over the past decade, "there has been a revolution in treatment, such that almost all vein issues can be treated in the office with no downtime." One common treatment is sclerotherapy, in which a liquid solution is forced into the bulging vein to stop the flow of blood. The vein will eventually turn into scar tissue and fade away, though follow-up treatments might be needed. Another treatment is thermal ablation, performed using ultrasound guidance. Kezele explains that a physician will insert a small catheter into the diseased veins, which then delivers heat; the heat will close off blood flow to the problem veins and improve circulation as blood diverts to healthy veins. 10. AN EARLY DEPICTION OF VEIN DISEASE APPEARS IN A SCULPTURE FROM 340 BCE. According to Kezele, the first depiction of vein disease appears on a Greek tablet dating to the 4th century BCE. The carving, from the sanctuary of Amynos, shows a man clutching a giant, disembodied leg with a bulging vein. Kezele suggests on his website that "it shows the Greek official Lysimachides dedicating a fake leg suffering from a varicose vein to Amynos," an Athenian hero revered as a healer. 11. VEINS MIGHT "POP OUT" WHEN YOU EXERCISE. There are lots of theories on why athletes often have big, bodaciously bulging veins visible on their arms or legs after they work out. The ropy look is completely normal and temporary. Writing in Scientific American, physiology professor Mark A. W. Andrews said that a likely cause of protruding veins is arterial blood pressure during exercise. Blood that would otherwise be resting in capillaries is forced out by the pressure into the surrounding muscle. That process—called filtration—makes the muscles swell, which pushes nearby veins closer to the skin's surface so they take on a bulging appearance. The process is more noticeable in athletes and body builders with very little subcutaneous fat.